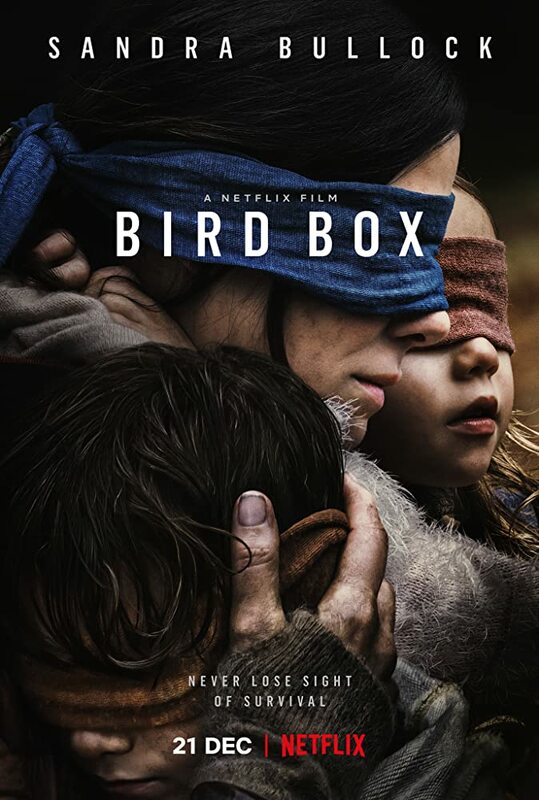 Bird Box is a post-apocalyptic horror film directed by Susanne Bier and based on the 2014 novel of the same name by Josh Malerman about a young mother trying to get her two children to safety in a world overrun with monsters. The storyline's big hook: no one actually knows what those monsters looks like, because anyone who sees them immediately loses their mind and kills themselves, often in spectacular, horrific fashion. The film stars Sandra Bullock, Sarah Paulson, Trevante Rhodes, Jacki Weaver, Rosa Salazar, Parminder Nagra, Danielle Macdonald, Lil Rel Howery, Tom Hollander, Machine Gun Kelly, BD Wong and John Malkovich. I LOVED this book. So glad to see this news. I never read the book but the trailer looks like an A Quiet Place knockoff with sight instead of sound. ^That was my immediate reaction. After reading some reviews, I might be disappointed in this. 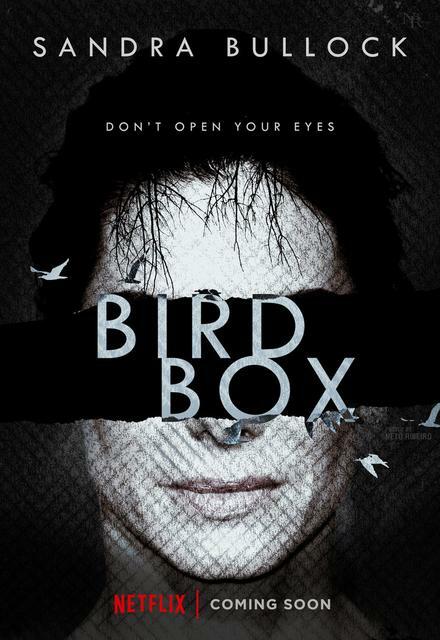 Bird Box, the book, was quite good. Very tense in parts, even if it did leave a few things frustratingly unexplained. Given that the book predates A Quiet Place, it's not a knock-off, but at the same time I bet this got green-lit as a result of AQP's success. And there are a few similarities, plot-wise. I’m at work til 7am. I’ll be keeping an eye out and will watch as soon as it’s up, which has tended to be about 3am CST in the past. It's not bad, but something about the structure of it saps away a lot of suspense. Having read the book, I think it works better as a novel, as something you imagine. Seeing it brought to life ... it requires a bigger suspension of disbelief. A (very mild spoiler ahead ...) blacked-out-windows drive to and from the supermarket, for example, is very hard to swallow. I agree it was ok. Nothing special. Just finished watching. I haven't read the book, but I loved it. Solid writing and the acting was pretty great all around. Enjoyed it as much as "A Quiet Place". I'd give it a 9/10. Wife and I stumbled across this tonight while flipping through Netflix...WOW, what a great show, could have been in the Movie Theater. It actually is showing in a limited number of theaters this weekend (ie: IFC Center in NYC, Landmark in LA), but I think I know what you're saying. Agree with what he's saying. It's a movie theater quality film. In spite of really liking AQP, I'll give this one a pass. My wife actually pulled a rare date night request, in that she said, "I saw the trailer and I'm watching it tonight so come downstairs and watch it with me." Okay, sure. Really liked it. We decided it's a less suspenseful A Quiet Place meets a much better The Happening. While AQP filled me with dread the whole time, I had a different dread here as I wasn't sure I could handle kids getting hurt. Thus, the dread was less constant yet also more intense when I had it. What's funny is when the final setting enters the picture, I honestly hadn't thought about any of that going on at all! Out of sight, out of mind, yes? Loved it! I'd like to see a featurette on how they did the stunt of a person going into the fire, that was so well done! Last edited by story; 12-22-18 at 07:50 AM. They spent the bulk of the $19m budget on the cast and that opening segment. Worth it. I was entertained. Sandy was great. Watch it last night thought it was okay I still think A Quiet Place is a much better film IMO.